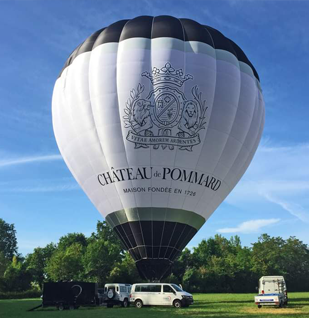 AERIAL MARKETING – Your very own hot air balloon in your corporate livery – we design and source the balloon with you (whatever shape you fancy) and we manage every aspect including insurance, inspections, storage and legal matters etc. We will fly it at events, at agreed times or for fun, marketing your business to millions of people during the course of a year. Cameras are now at the fingertips of most people and hot air balloons attract huge interest, not only during flight. These images are shared far and wide on Facebook, Twitter and Instagram, therefore businesses attract enormous publicity – literally worldwide. Over the life span of a balloon, which is typically 7-10 years, your exposure will be greater than your wildest dreams. Why not use it to thank customers, reward staff and suppliers whilst attracting interest from the ground? We can lay on canapes and champagne and give you a huge advantage over the competition. 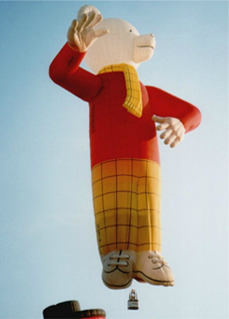 We have worked with companies as diverse as Disney, Famous Grouse, Express Newspapers, Rupert the Bear Balloon, Piaget Watches and Henry Hoover. We have flown at business openings, product launches, international events and Formula 1 races. 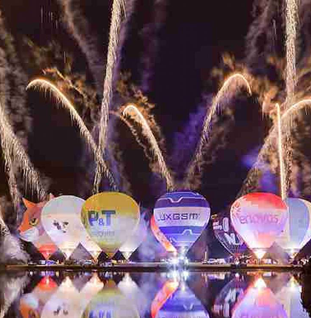 We can arrange to fly or tether your balloon from events and venues of your choice, for instance the London Marathon, Agricultural Shows or a number of other public, private and sporting events. Tethered Balloons - We can tether a balloon at a corporate event with your company banners attached to the basket. 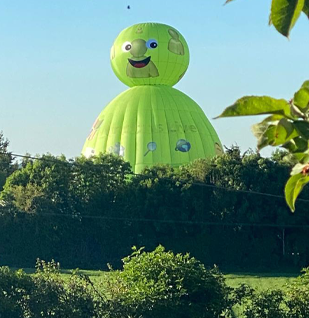 Your customers and staff will love the Atmosphere as we allow the balloon to take off, giving them a bird's-eye view before descending for the next eager guests. The excitement is fabulous and as dusk falls the glow from a night burn will have cameras clicking and social media buzzing with a frenzy as images are shared around the world. Banner Marketing - We offer banner marketing where we attach your company banners to our balloons/basket and fly them over towns and cities or at events/shows, giving you exceptional exposure to a huge audience, including your competition! You can be sure as night follows day that photographs taken by people on the ground will be shared far and wide. Social Media - We have clients who have offered exclusive flights to their customers through social media marketing. By creating an offer on say Facebook and asking customers to 'Like' and 'Share', they enter a competition to win a flight in your balloon, or one with your corporate banners, which means you win twice as it flies over the heads of potential customers.